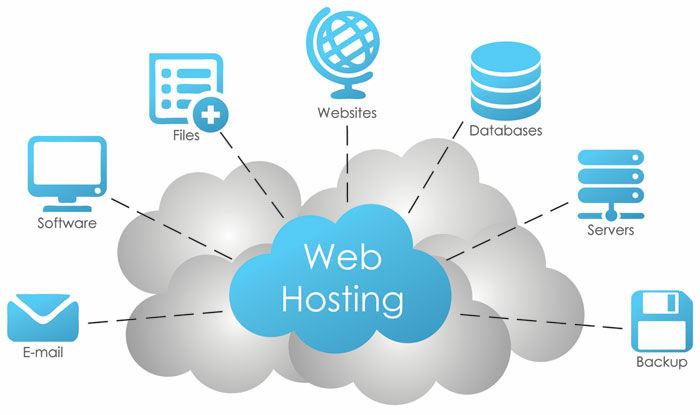 Web Hosting in Dubai, UAE | We provide shared, dedicated and cloud hosting services. We are located in Dubai, you don't need to call international numbers for support..
UAE Hosting provide worry free solutions that get the most out of every workload. If your yearly bil is more than 500 AED we will assign you dedicated account manager toprovide you support you deserve. Our shared hosting plans are all unlimited only difference is server performance and can host single to mulitiple domains. Our reseller hosting provide freedom to sell or host unlimited domains according to your own pricing. We at Hosting UAE are providing you different options for your VPS server requirements from small VPS to larger one starting from 100 AED monthly. Our cloud hosting can give you auto scalable solutions, you don't need to worry about millions of visitor at the same time. Our dedicated hosting are planned to provide your dedicated RAM, CPU, storage and bandwidth only for your hosting account. You can register generic or regional domain within our website, the domain name will be registered on your company or your name, please do let us know if you want privacy protection for your domain. You are relying on local team, you can reach us in minutes while phone and whatsapp are always available, we at hosting UAE can offer you below. At UAE Hosting we offer you shared, dedicated and cloud web hosting services. UAE Hosting is the leading domain and web hosting company in Dubai. If you need a website hosting company that would not only host your domain name, but properly register it under your company or under your personal name so you can be sure of the ownership, you will be also getting an email address with the right name, you should not go further than UAE Hosting, select one of the offer in our web hosting Dubai UAE offers. We offer privacy features and web hosting with dedicated IP addresses, complete tech support and site creation tools for both Windows and Linux at very affordable rates. if you want to generate online visibility for your business or organization on the web, the first thing you need to do is register your domain name. We are one of the most renowned domain registration companies in Dubai and not only do we help you register your domain name, we also help you to define a suitable domain name for your business. You can mail or call us and we’ll get back to you within a very short period to know what you need. Our clients can mainly be found in Dubai and Abu Dhabi, though some can also be found in Sharjah. We offer top quality website hosting in dubai to our clients located in United Arab Emarates, including domain registrations are unsurpassed by any other company in the Emirates. With the best in web hosting and domain registration services, it is not surprising that we are now poised to gain full control of the Middle Eastern market, Many of our clients are situated in Abu Dhabi Emirates and they are all very pleased with the quality of web hosting services we provided to them. Our website designing packages are design to meet small business companies in Dubai, UAE, our packages come with basic facilities like Home Page, About Us Page, Products/Services/Projects Page etc. We provide everything you need to get your business up and running in very little time with our website designing package and web hosting packages, Domain Names and web hosting for as little as AED 139 per year, to competitive web design and hosting plans starting from AED 899 for more details click on Web Design Dubai. Are you looking for a secure and reliable Email solution with encrypted communication? We provide web based as well as POP3/IMAP/SMTP cloud platform that integrates a robust interface that is designed to meet your needs. When you take Silver Cloud Email Hosting Private Email package for a test-ride, you can get the first 2 months free as a trail by selecting the 2 months billing cycle only in case of transfering your email services. Its specifically design for business email services in Dubai UAE, for more details please click here. E-Mail Marketing is the only way to save time get to your existing clients and new clients to introduce your projects, product or services in Dubai, UAE. Our more than 2,000,000 (2M) UAE Email Addresses Database which is valid and verified business email addresses gather from our online marketing partners can super charge your online email marketing campaign. please visit our Email marketing in Dubai Page for more dertails. Our online marketing department can help you with your SMS marketing campaign with our own data, for etisalat SMS Marketing chages please click here, you can compare our SMS Marketing Dubai charges with etisalat and du you will be impressed how much it is less with our company, the process with us is also very simple we don’t need any document un till you are sending it with the Generic Sender ID, we only need NOC and your business trade license if you want to send your SMS Marketing campaign with your own brand name, even then its very simple process as we accept these documents via sending through email, for more details about our SMS Marketing in Dubai please click here. 303B, Al Shaali Building, Damascus Street, Dubai.